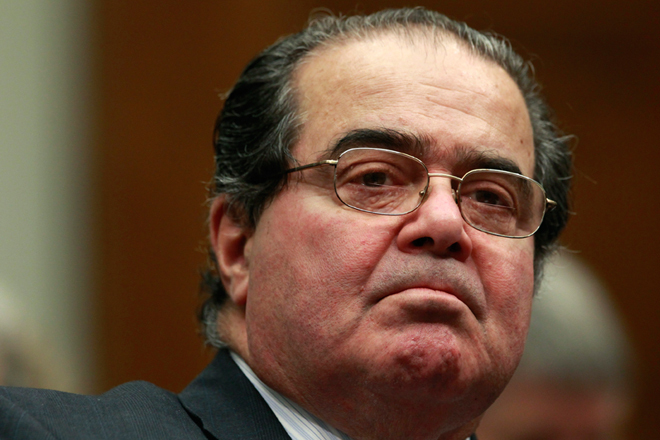 Justice Antonin Scalia, the author of SCOTUS’ majority opinion to not interfere with the 5th Circuit’s decision to allow House Bill 2 to take effect. As you may have heard last night, The Supreme Court of the United States issued a 5-4 ruling refusing to intervene into the 5th Circuit Court’s decision to allow House Bill 2 to be implemented in Texas, citing that there was not enough evidence that the court’s decision is causing harm to Texas women. 11/20/2013-AUSTIN, TX Thousands of women will continue to be denied their constitutional rights and access to abortion services in Texas following an order issued today by a majority of justices on the U.S. Supreme Court refusing to reinstate an injunction blocking a measure that has forced approximately one-third of the state’s licensed health centers providing safe and legal abortion to immediately stop. Whole Woman’s Health is the lead plaintiff in the case represented by the Center for Reproductive Rights with clinics in Austin, Beaumont, Fort Worth, McAllen and San Antonio and has been providing safe, compassionate abortion services to women in Texas communities for over 10 years. The provision, which took effect on October 31 after a decision by the U.S. Court of Appeals for the Fifth Circuit stayed a lower court’s injunction, requires all abortion providers obtain admitting privileges at a local hospital-a measure that has halted abortion services at more than a dozen clinics across Texas. Immediately after U.S District Judge Lee Yeakel issued an injunction against the measure on October 28, Texas Attorney General Greg Abbott appealed the decision and asked the appellate court to lift the injunction put into place by Judge Yeakel’s decision pending the outcome of the appeal. The Fifth Circuit granted the state’s request late on October 31, allowing the state to immediately start enforcing the unconstitutional admitting privileges requirement while the case challenging the law proceeds. Our case is still expected to be heard by the Supreme Court after it goes through the 5th Circuit Court of Appeals in January. Clear Eyes, Full Hearts, Can Choose = Success!